Stressful travel is a tradition during Thanksgiving and the winter holidays, especially for folks whose immediate family members live in distant places, but some travelers prefer to get away to a more relaxed destination such as one of A-1’s Oregon beach vacation rentals. Lincoln City, offers seven miles of splendid coastline reachable by the famous Highway 101, where friends, families, lovers and loved ones can enjoy this holiday with the most majestic views imaginable. Now that A-1 Beach Vacation Rentals is open on Thanksgiving, there’s an excellent alternative to the stress of traveling to the big cities or hosting a huge dinner on this busy travel weekend. According to the American Automobile Association, the number of Thanksgiving travelers in the United States is expected to reach over 43 million this year. Approximately 3.14 million of these people will travel by plane for the Thanksgiving holiday. About 37 percent of Thanksgiving travelers will depart on Wednesday, November 27, the day before Thanksgiving. Whether you’re traveling by plane, train, bus or automobile, it’s going to be stressful out there. 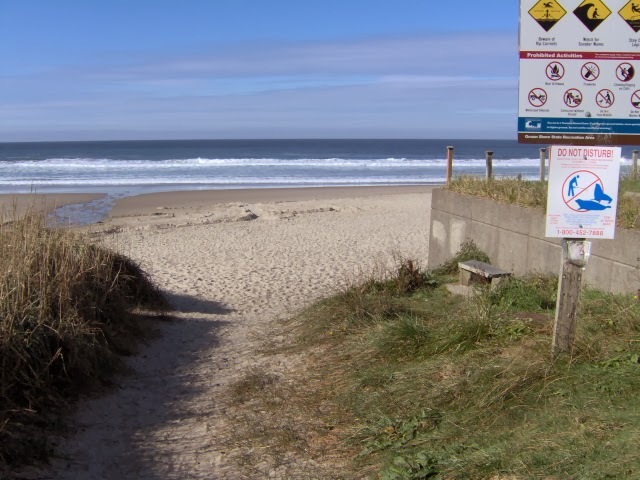 All this stress can easily be avoided in the pleasant, charming town of Lincoln City, and the surrounding areas of oceans, lakes, mountains, and other natural wonders, where the only “traffic” will be fellow hikers, cyclists, joggers and nature lovers on the beaches and trails. Just because you and your loved ones have chosen to escape the stress of a traditional Thanksgiving doesn’t mean you can’t have a lovely meal and enjoy special time together while staying at one of A-1’s Oregon beach home rentals. Lincoln City, offers several options to choose from for the Thanksgiving Day feast. Fathom’s Restaurant at the Inn at Spanish Head, Siletz Bay Buffet at Chinook Winds Casino, The Dining Room at Salishan and Mist at Surftides each offer a Traditional Thanksgiving buffet for under $40 per person. Maxwell’s and Lil Sambo’s will offer a traditional sit-down meal, the Side Door Café will be serving special Thanksgiving dinner entrée options, and Grandma’s Kitchen will be serving a ham or turkey entrée with traditional sides. Many of these establishments will shut down by 6 p.m., however, to allow staff to enjoy a dinner of their own. Safeway, the local grocery store, also offers semi-prepared ham, turkey or prime rib dinners, which can easily be heated in one of our rental homes or Oregon beach condo rentals. Lincoln City, has no shortage of options to enjoy your Thanksgiving in comfort, style, and above all, relaxation. Enjoy the Holiday Season at the Beach! Enjoy the holiday season at the beach with hot tubs, sunsets, beautiful vistas, great restaurants and relaxation! Just because we’re in the midst of fall doesn’t mean vacation rental season is over on the Oregon coast. 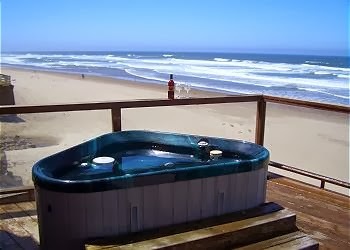 In fact, for those who prefer more peace, quiet and personal space, this is the ideal season to plan a short getaway, long weekend or week-long retreat to an idyllic spot like Lincoln City, where A-1 Beach Vacations offers elegant and amenable Oregon beach vacation rentals. Not only is the autumn season less busy and rushed along the beautiful Oregon coast, but it is also often more affordable. There are more vacant Oregon beach rentals, specials are available, and businesses are offering deals to attract visitors in the off season. Whether you just want to enjoy some quiet time with coastal views and beach access, or get outdoors and enjoy everything nature has to offer, this is an excellent time to visit Oregon. Some of the most popular activities to enjoy during autumn in coastal Oregon include hiking, biking, and wine. Weather permitting, there is still wonderful hiking to be had around the Oregon coast during autumn. Many of the most beautiful trails can be found near the central coast of the state, where Lincoln City rests at the 45th parallel of this scenic coastline bordered by the Pacific Ocean to the west, the Coast Range and Devil’s Lake to the east, Siletz Bay National Wildlife Refuge and the Siletz River to the south, and the Salmon River to the north. This leaves more opportunities for hiking than you could possible enjoy in a week, whether you prefer hiking near rivers, over mountains, around lakes, through hillsides, or along calm sandy beaches. Oregon has many scenic bike-ways that cyclists rave about. The Oregon Coast Bike Route offers 370 miles of stunning roads that are ideal for cyclists, mostly along the US Highway 101. These routes range from scenic and relaxing to hilly and challenging, so there is something for everyone. The Oregon Department of Transportation Pedestrian and Bicycle Program offers a variety of maps and suggested routes so you can plan your ride based on your needs, skills and preferences. There is an abundance of Oregon wineries offering tastings year-round, but the fall is an especially wonderful time to go wine-tasting because the summer crowds have dissipated but the areas around the wineries offer stunning views with all the changing colors and falling leaves. You might want to start with the Chateau Benoit Wine Food Center at 1500 SE East Devils Lake Rd #302 in Lincoln City as your first stop on a day of wine-tasting around the Oregon Coast; there is an abundance of other wineries to go to from there. Great Beach Access at Lincoln City Oregon! Penny Ann Brown Beach Access is close to Whistling Winds Motel and the Jetty House run by A-1 Beach Rentals!